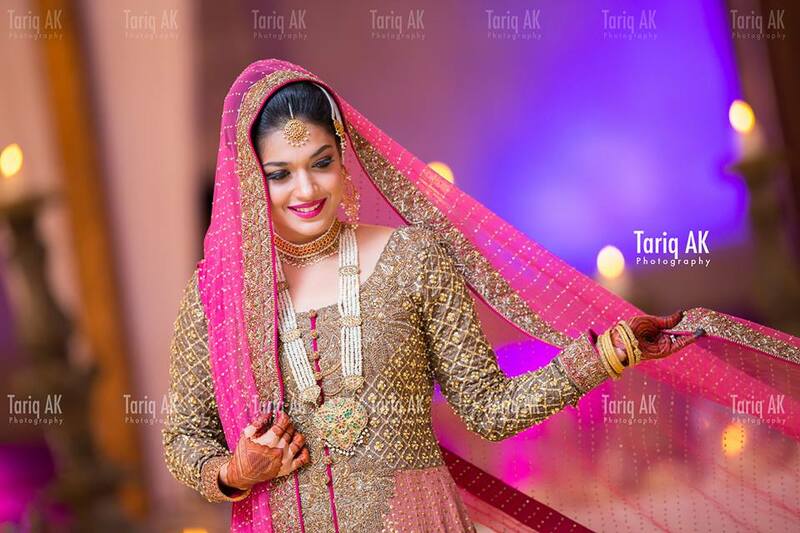 Barat happens to be the one core event of the Eastern weddings. 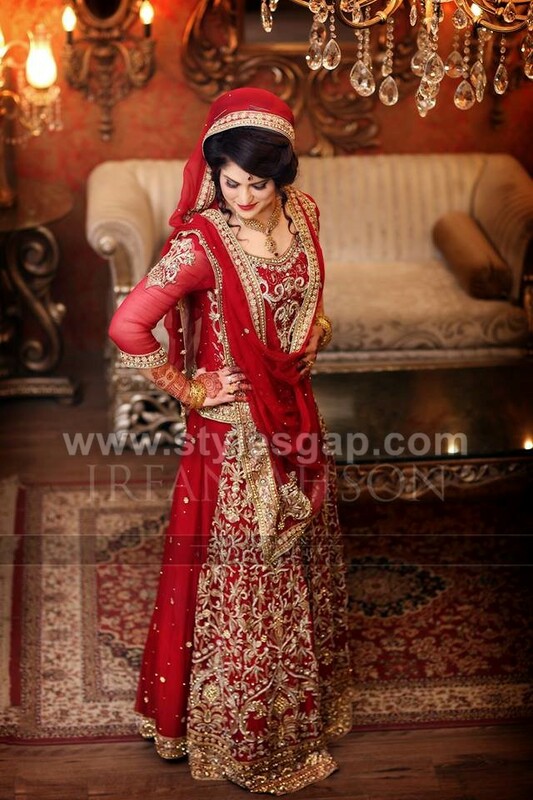 When a bride walks down the aisle of wedding sparkling in red on her wedding day, she captures the gazes of everyone. 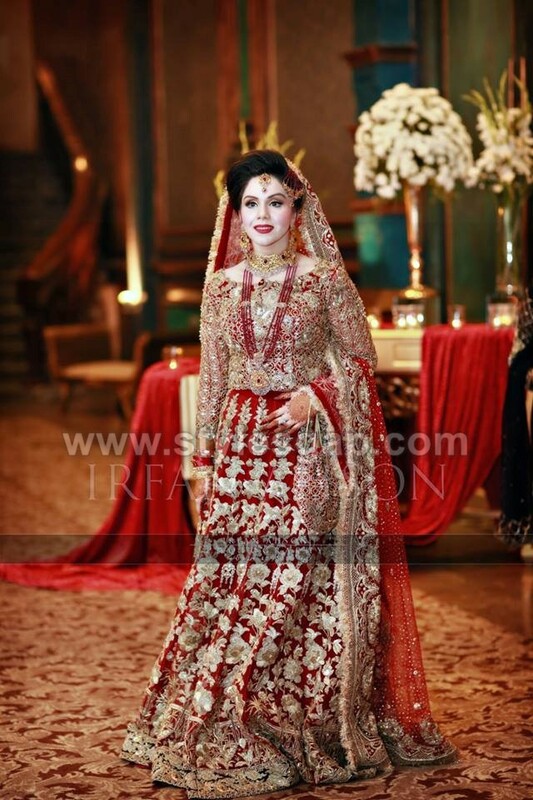 It is the day that gets most of the attention while deciding your attire for the whole wedding event. Though the basic theme color for every Barat is traditionally set to be red yet it has made its transformation into many different shades and tones. 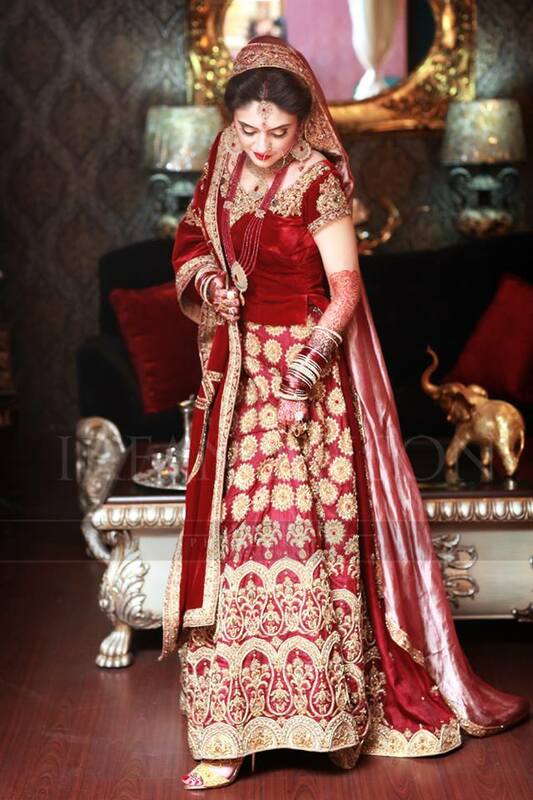 Here we are sharing Best Bridal Barat Dresses Designs Collection. 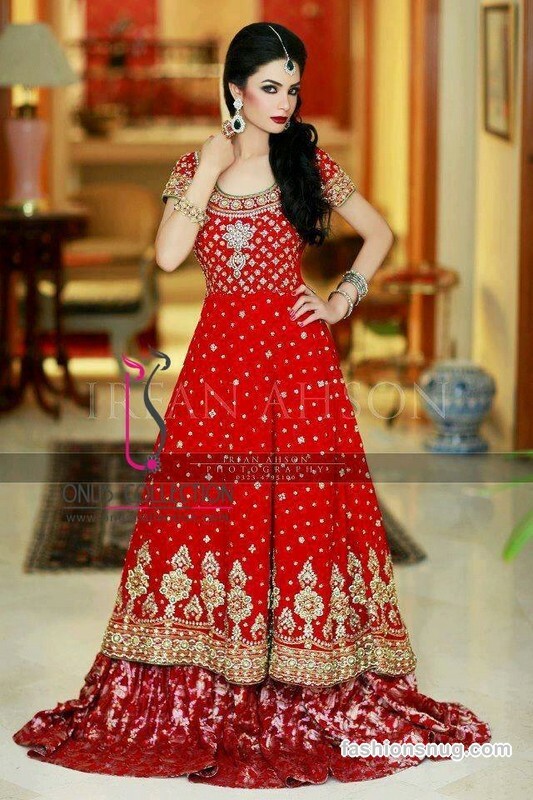 No wonder every girl want that unique, distinctive outlook on her big day while wearing the same red, so what shades to decide? 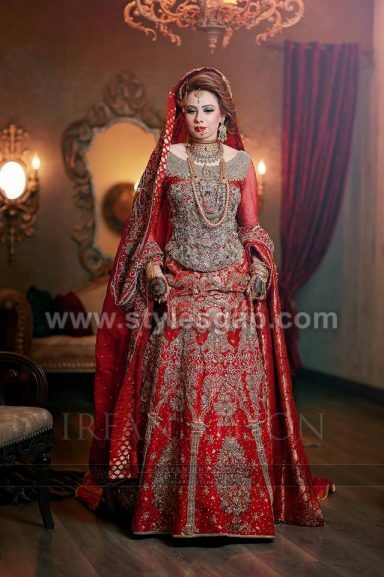 What designer to wear? 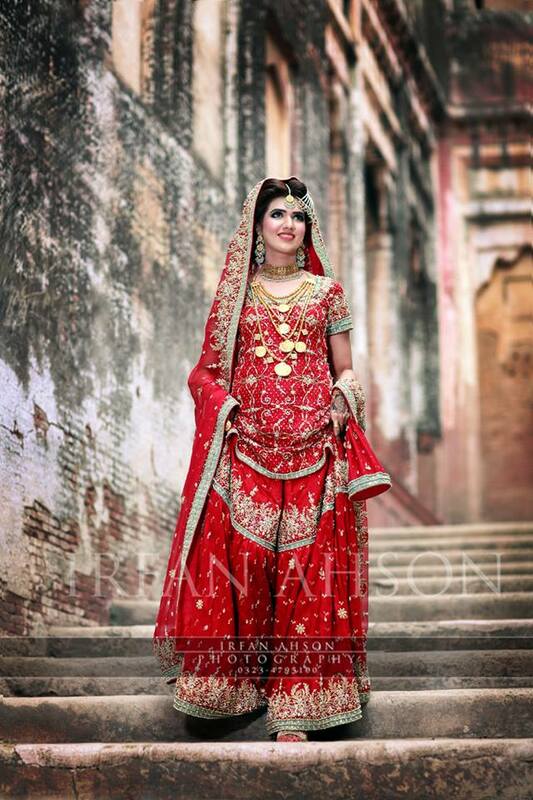 What contrast would look good on you? 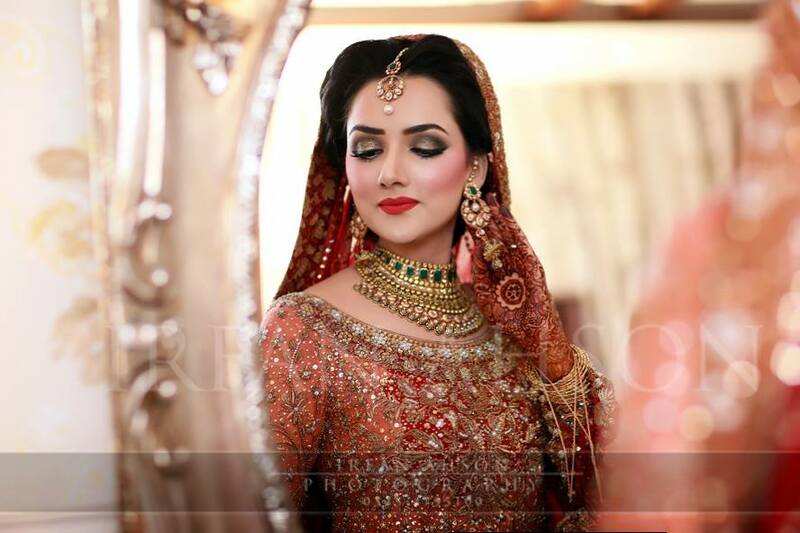 How would a perfect bridal dress highlight the charms of your beauty? 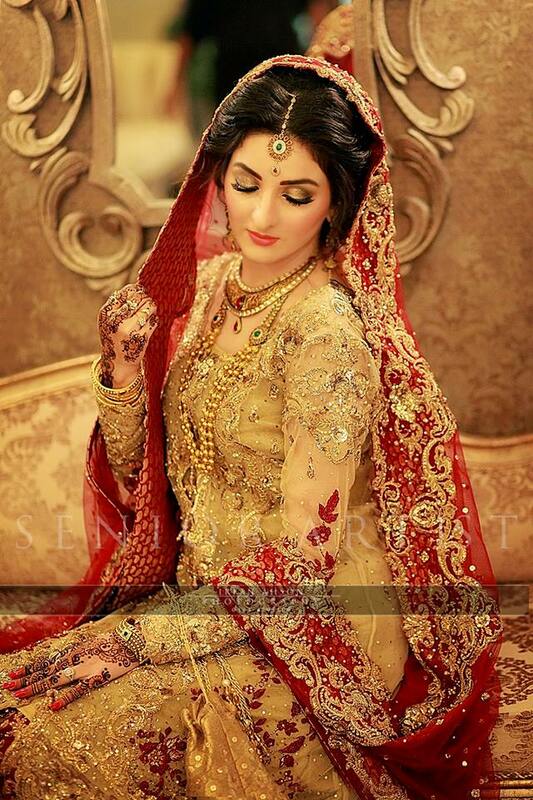 These are the questions that keep hovering over the minds of ladies these days. 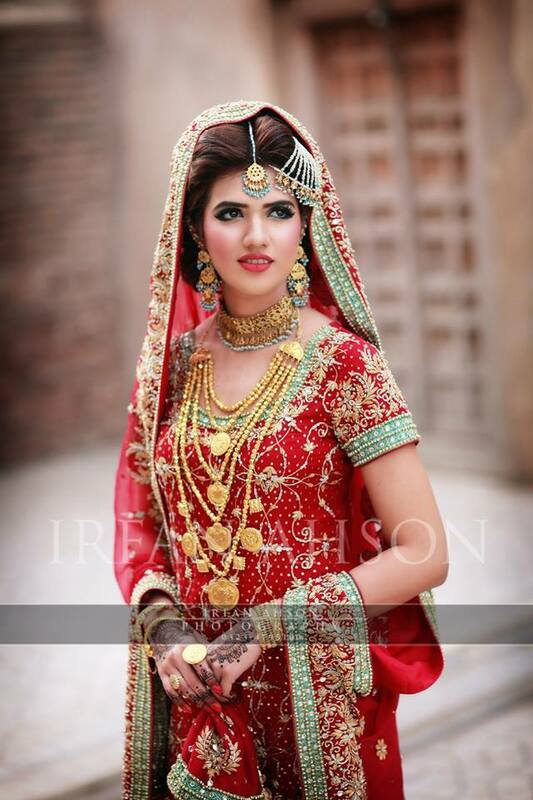 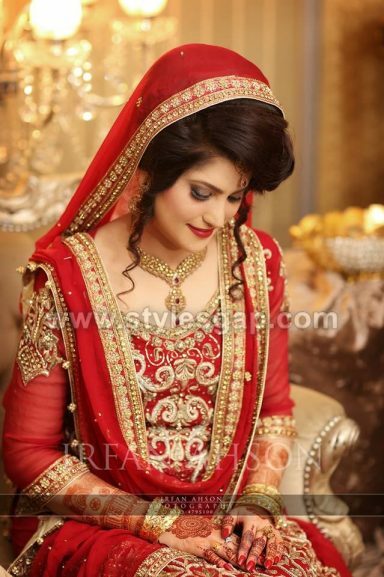 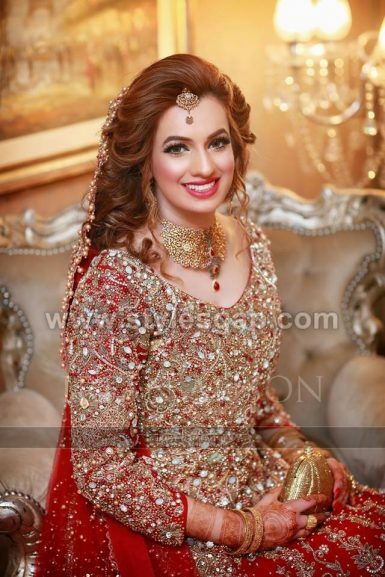 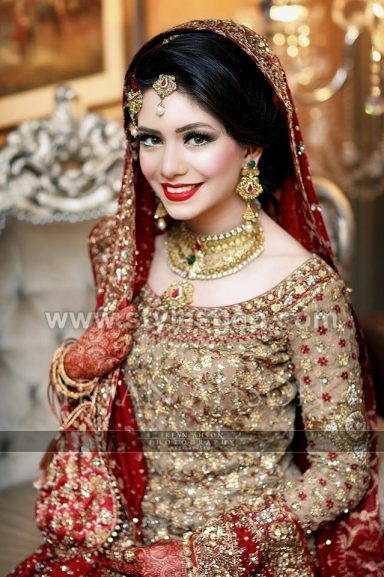 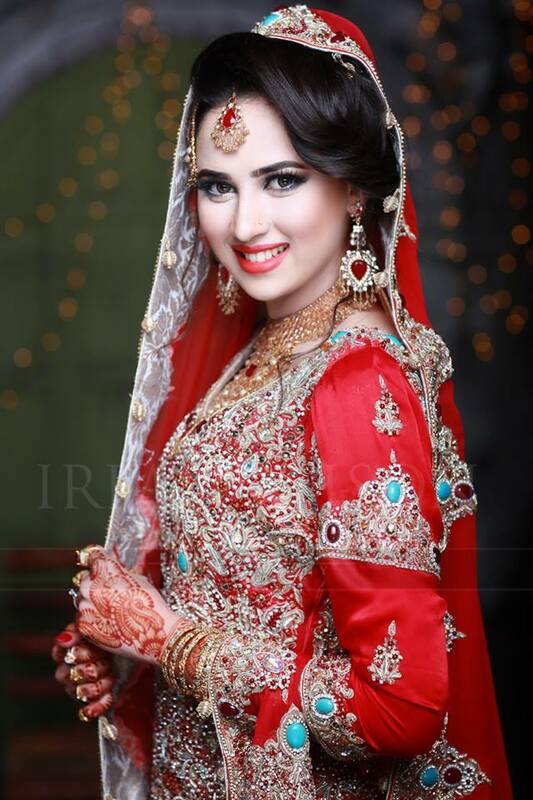 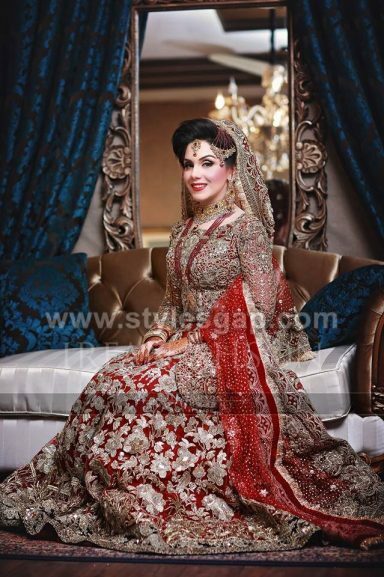 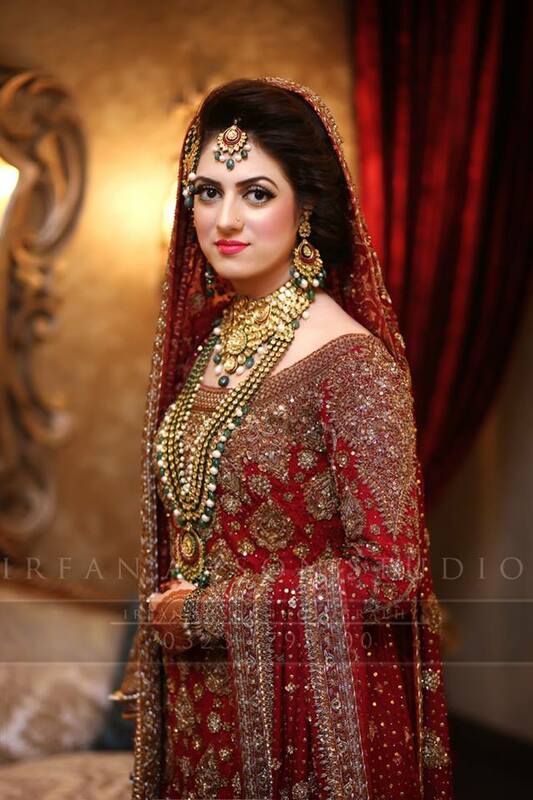 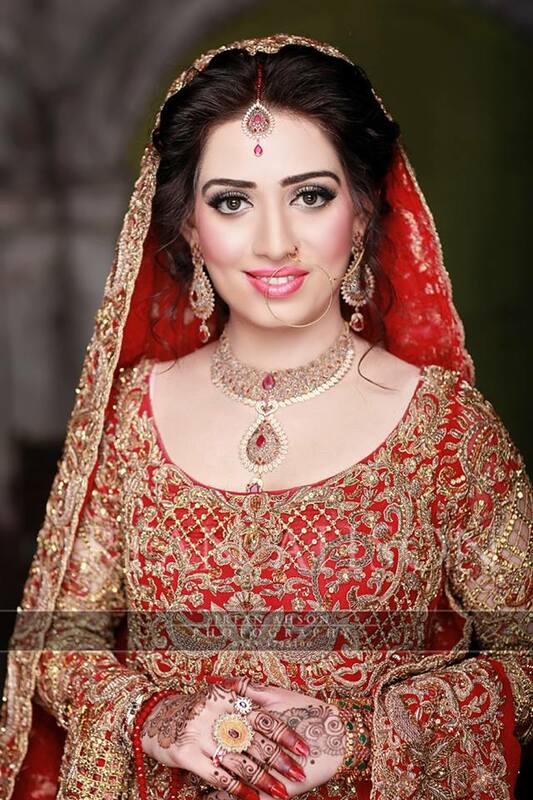 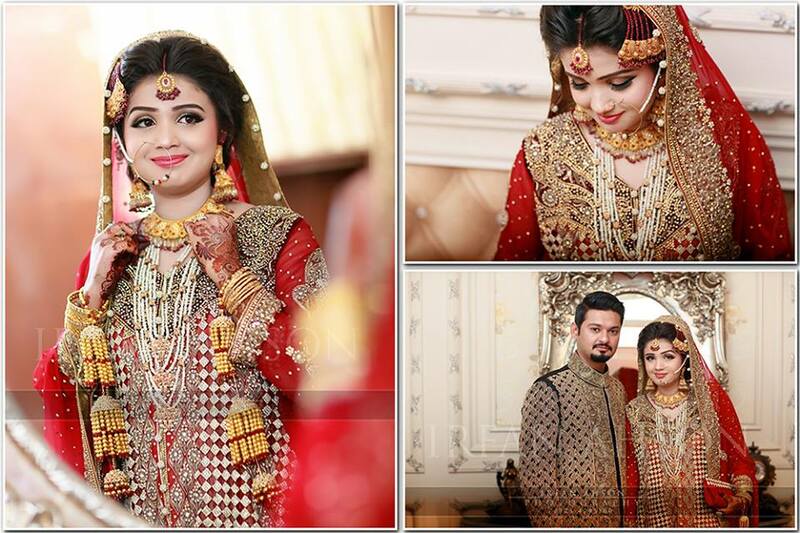 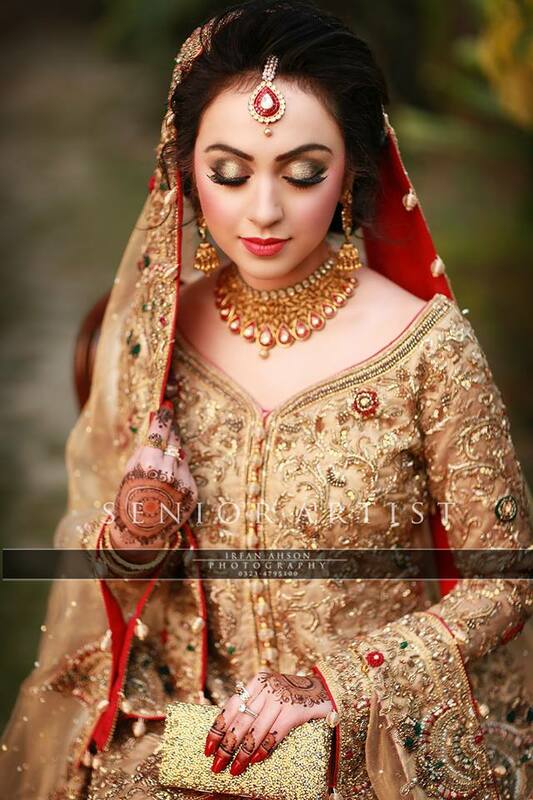 So let us take a look at the latest Bridal Barat Dresses for this year. 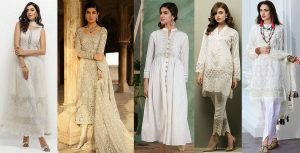 The latest series of collections have all that will steal your breaths away with all new cuts and designs. 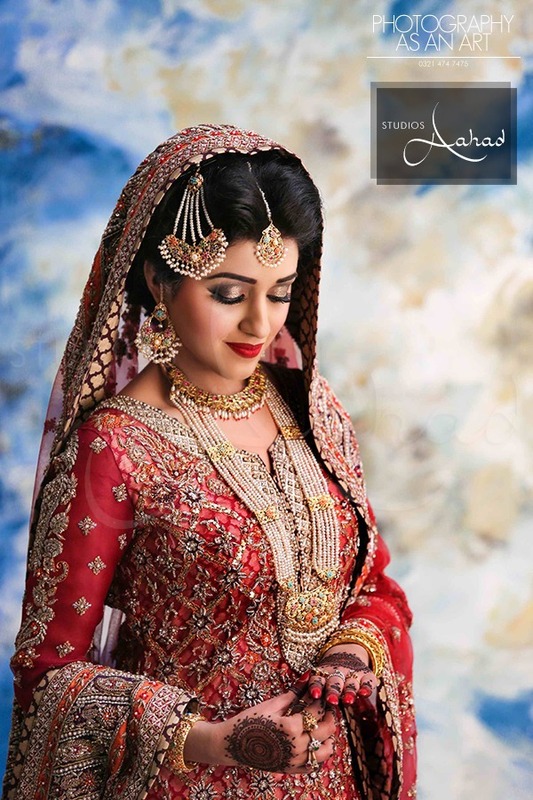 Experience yourself the ultimate delight of these apparels that will make your wedding day the most memorable one. 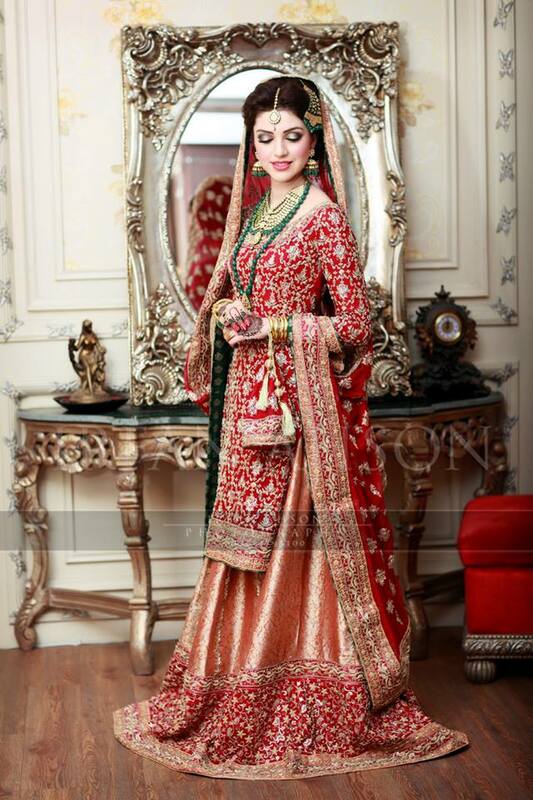 One of the finest choices for barat dresses are the lehengas that are loved equally by all. 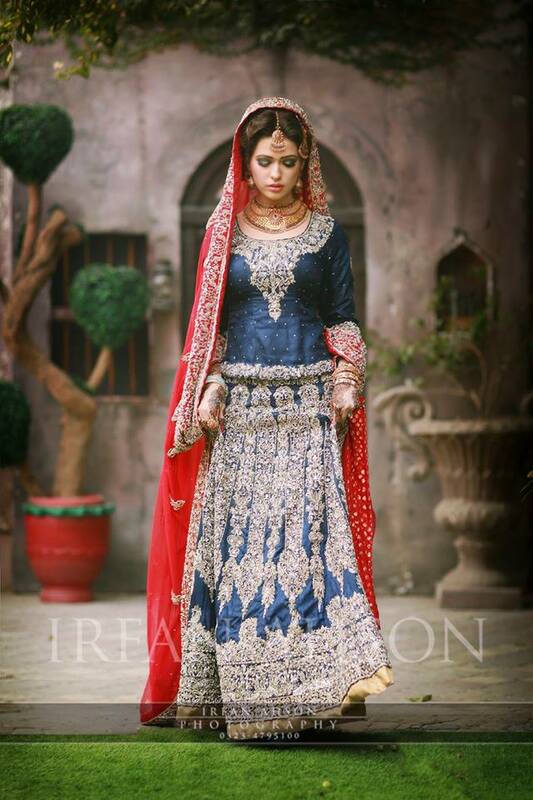 Lehengas for barat never gets out of the spotlight. 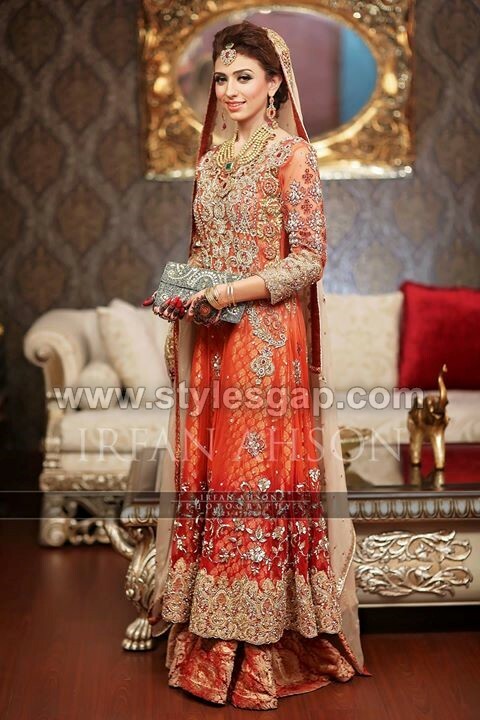 They give the bride a royal touch in a fascinating manner. 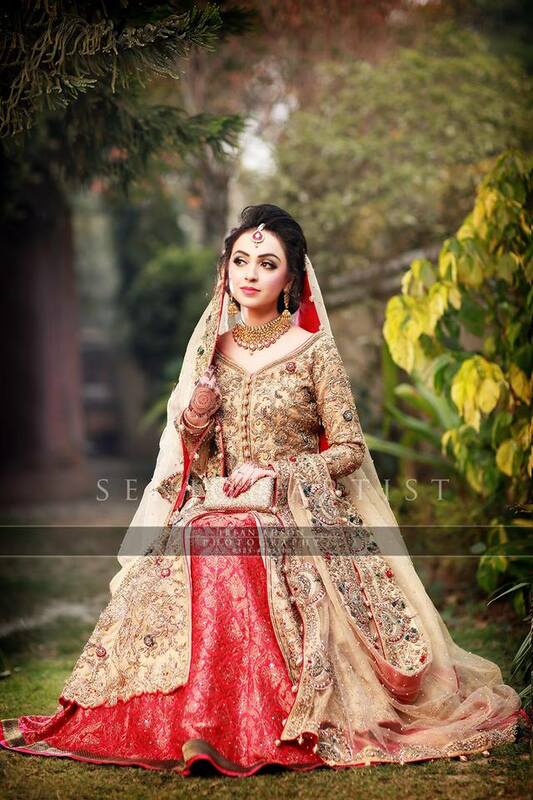 Various Pakistani designers have launched their exclusive bridal lehenga collections this year carrying several shades of red in sparklet, dull, pale, bright, vermilion and crimson coupled with high contrasting hues. 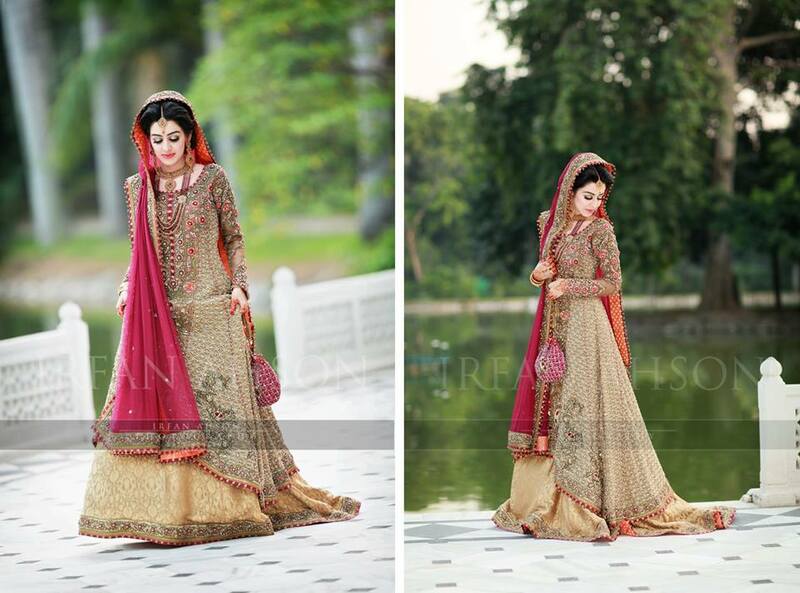 Heavily embroidered with beautiful stitches adorned with pearls, stones and thread or cut work. 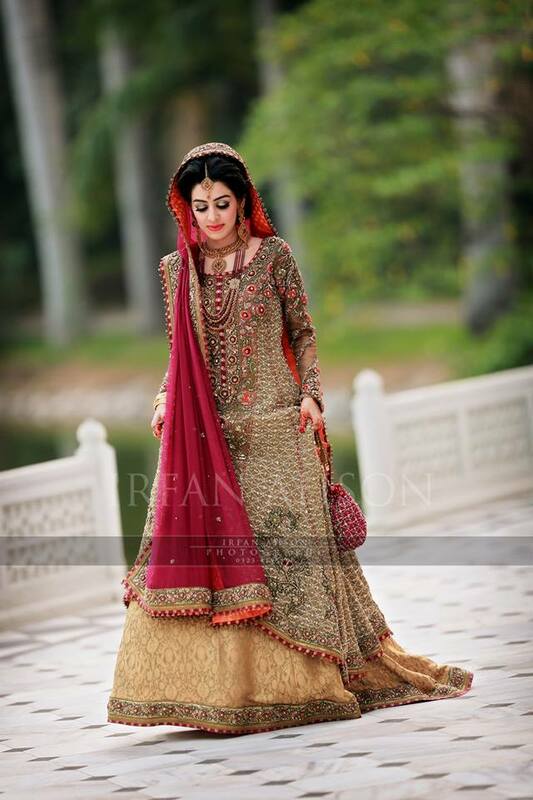 These dresses carry various combinations of zari and dabka work over their intricate and fine fabrics. 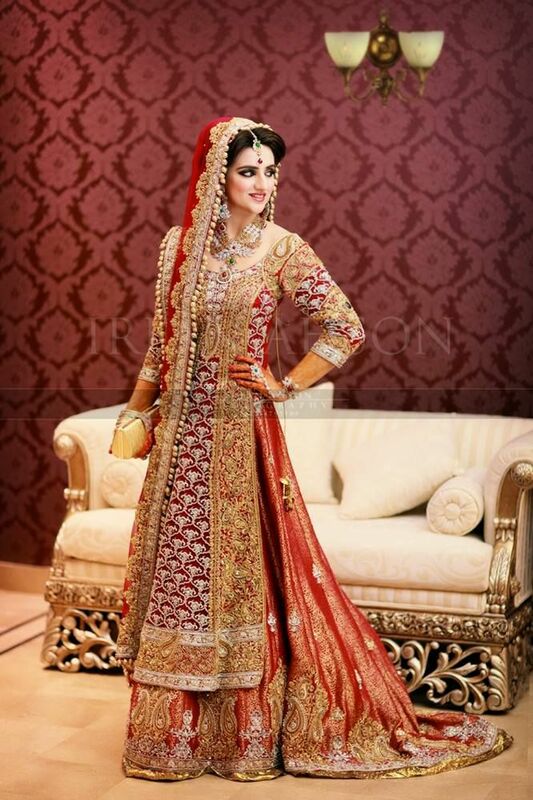 Long embellished shirts over lehengas look magnificent either with simple cuts or in Anarkali style. 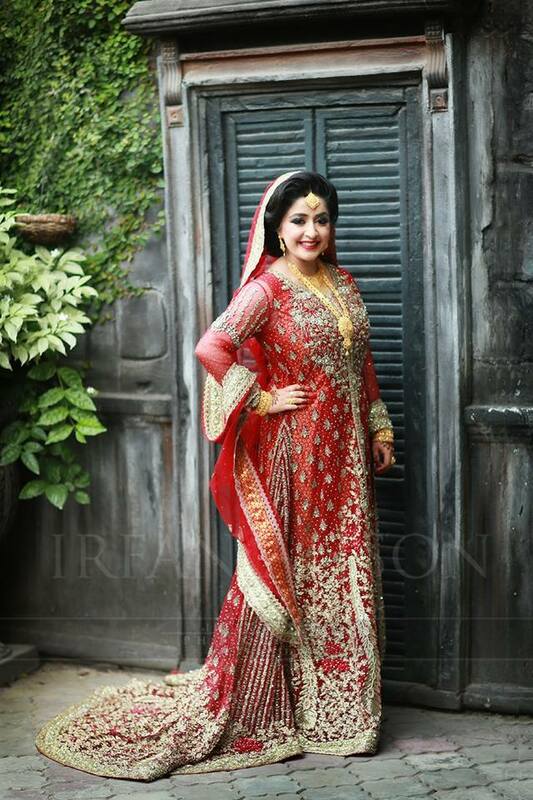 Sleeves are preferably kept long in a churidar style, yet few like to keep them short and trendy. 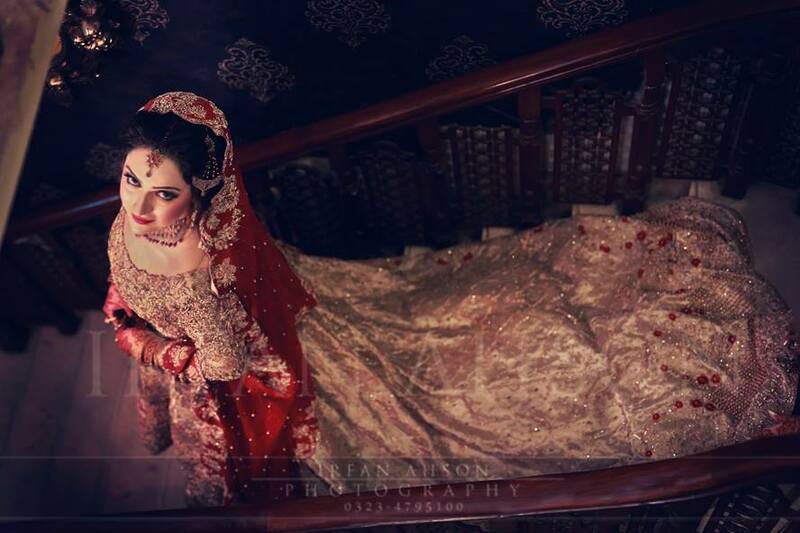 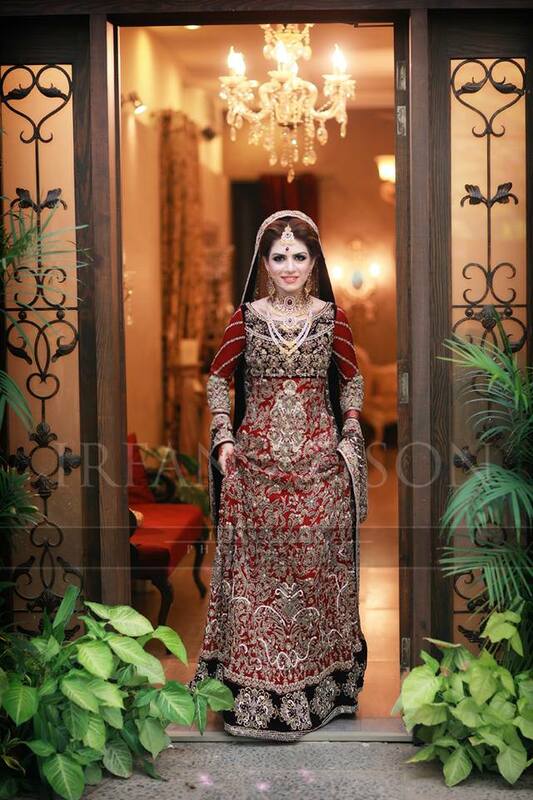 Wedding gowns for Barat are seemingly in trend these days. As they are far easy to carry yet, they give that Desi and real bridal look because of the high volumes of flares they carry. Barat gown dresses are kept in long tail style for the bride with heavy work of embellishments around the drapes of the gown and the dupatta of the bride. 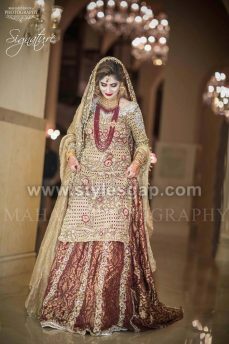 Some of the dresses have double layers of fabrics used to give it more volume and to create an amalgamation of different shades. 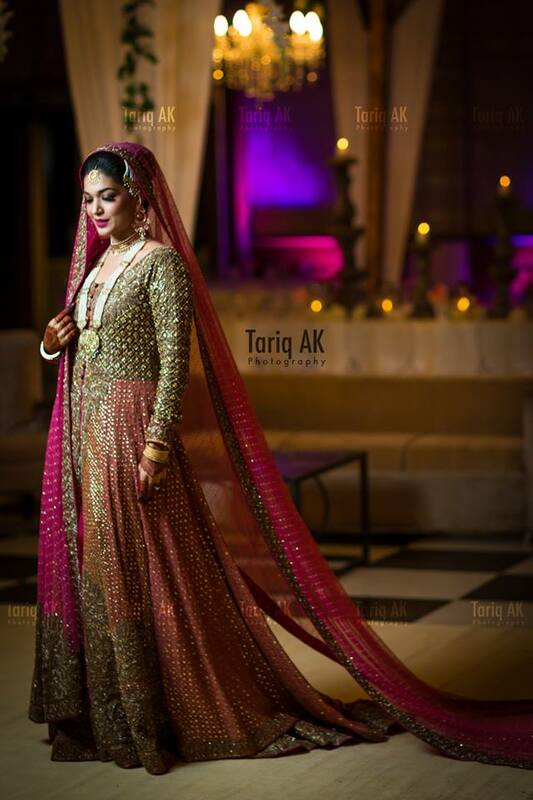 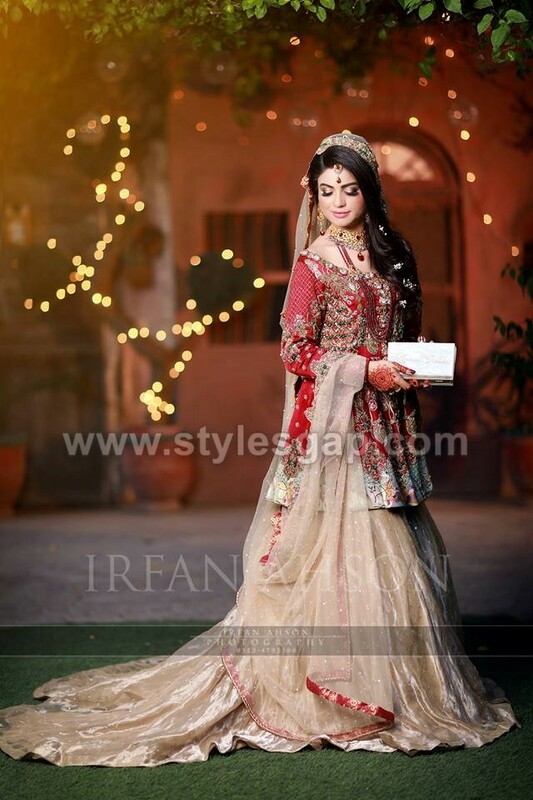 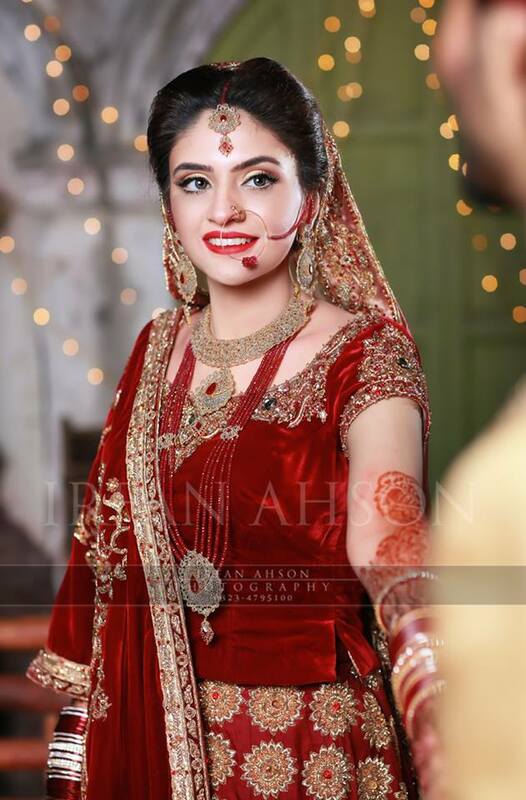 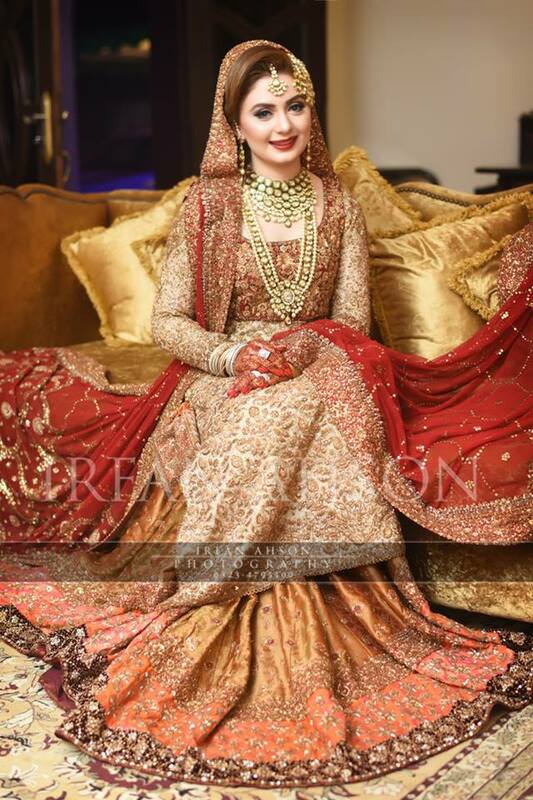 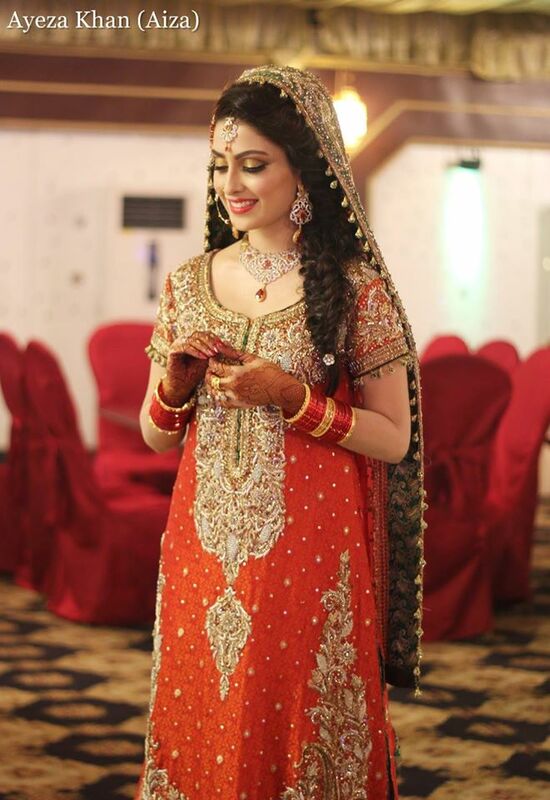 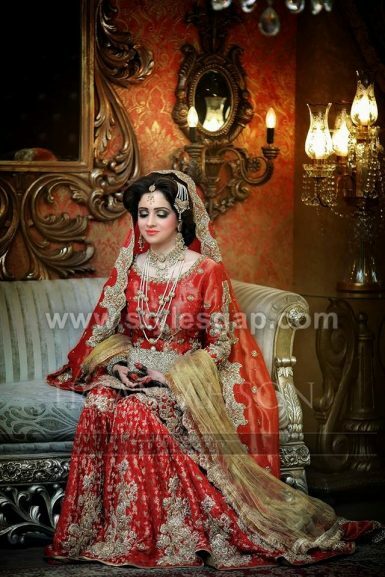 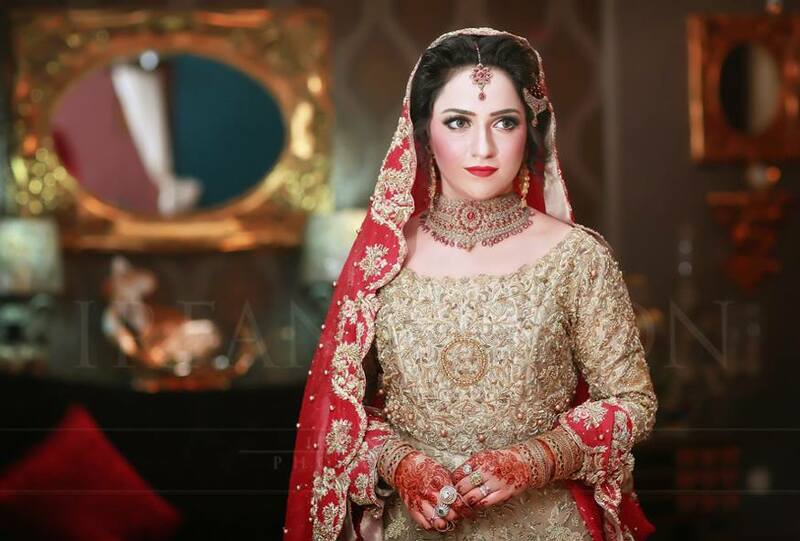 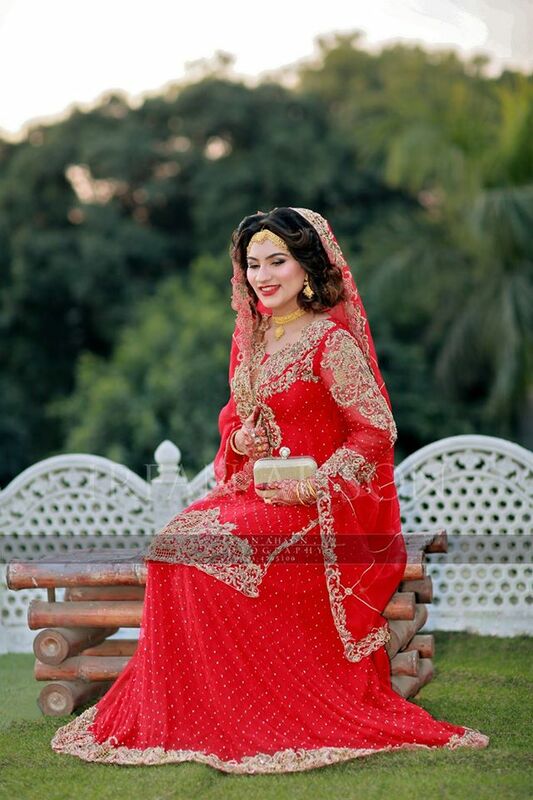 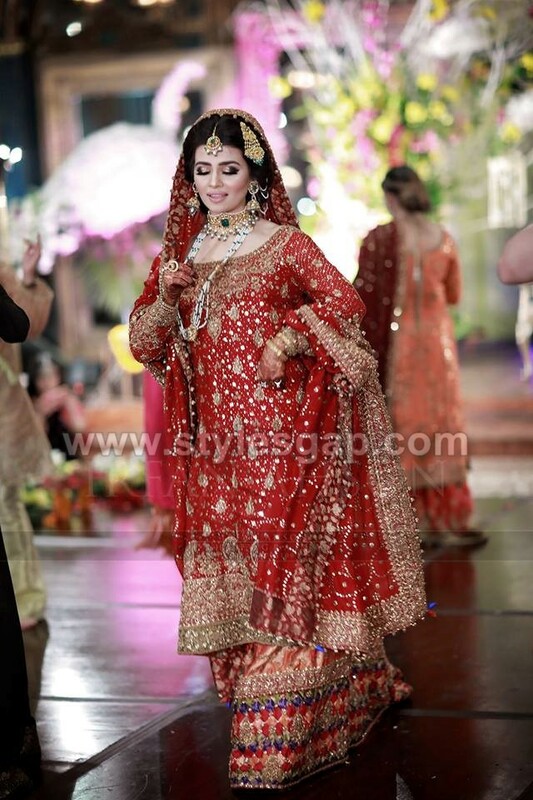 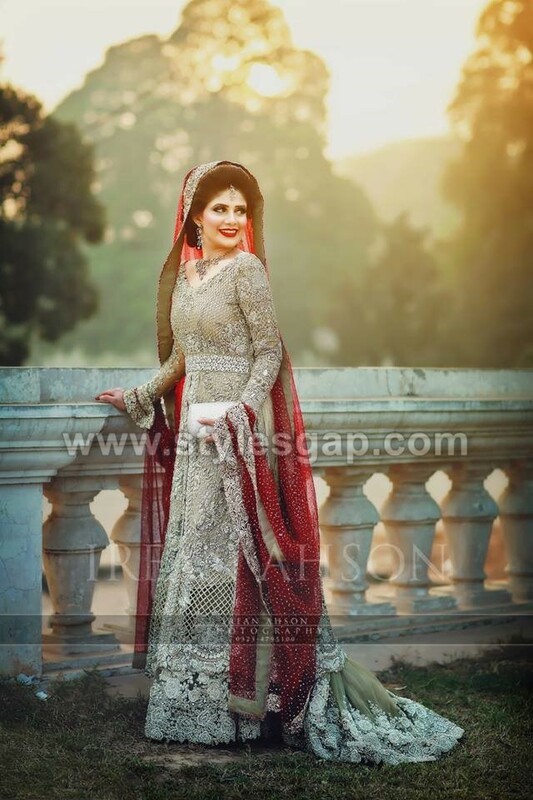 As many of our television stars are seen carrying the wedding gowns on Barat, they all looked fabulous indeed. 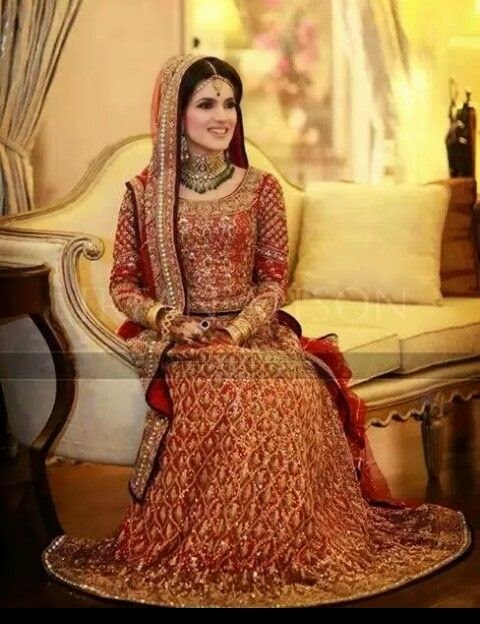 Gold heavy tussles around the border of the dupatta of the dress make its embellishment look exquisite. 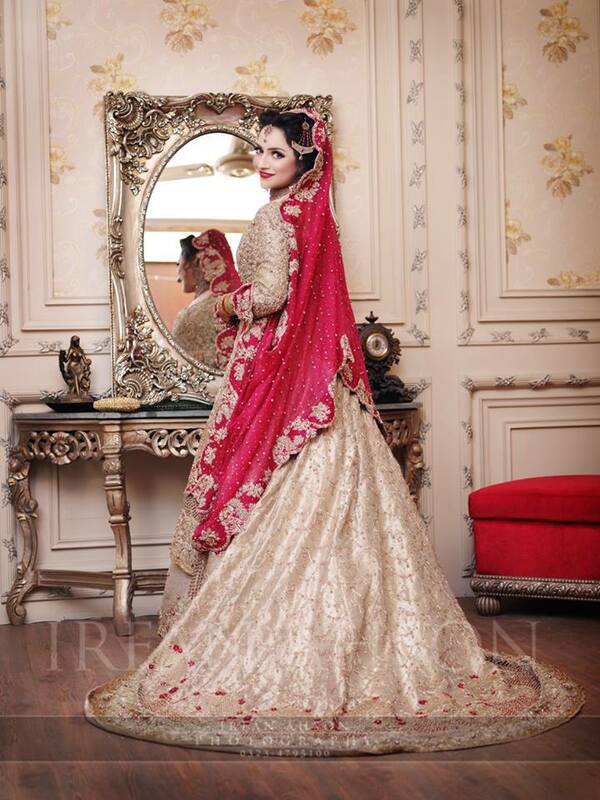 Moreover, the work in ivory and beige glares up the bridal barat dresses. 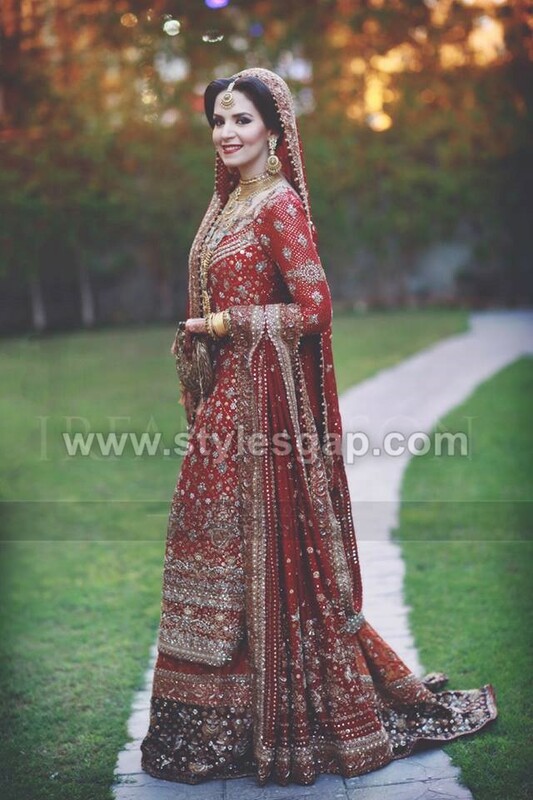 Other than various forms of chiffons used in the dresses these days plenty of designers added up the hint of velvet in some dresses especially for the current winter wedding season. 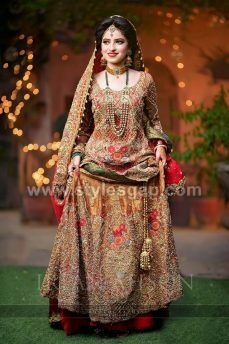 In a bird’s eye view, all the forms of latest barat bridal dresses are lovely to carry and comes with the package of style with elegance.